Designed for long range casting, and as a Big Pit carp reel, the Penn Affinity Ltd specification includes a long tapered, forged aluminium spool and slow oscillation movement for the perfect line lay to achieve maximum distance with both mono and braided lines. 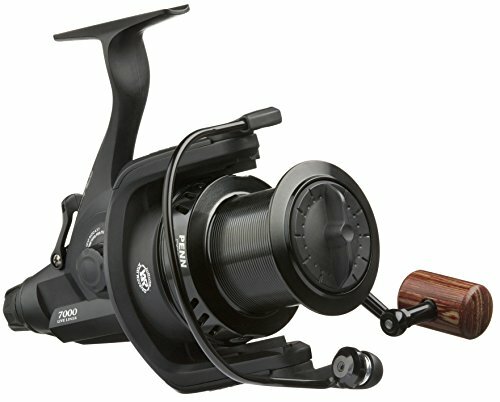 With strategically placed stainless steel ball-bearings the reel is smooth under load, but also features a quick turn drag system, a titanium main shaft and manual bale arm, also a rotor brake system. These incredible reels are supplied with two deep aluminium spools.